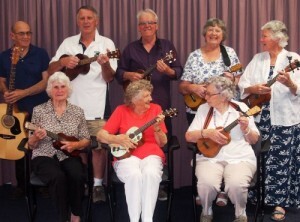 At the EMU (EACH Music & Ukulele) group, we welcome all older adults, wishing to learn or relearn, their instrument of choice. Whether it be piano, ukulele, guitar, drums, singing, or playing the spoons! From beginners to experienced players. And we can supply most instruments if you don’t have your own! Our tutors provide a great variety of sessions and are highly qualified and experienced. If you need just a little help or a lot, support is always at hand. 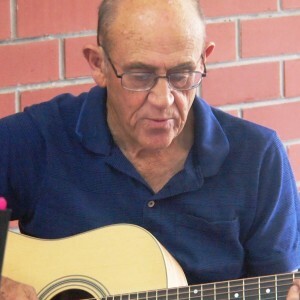 Several gigs are available each year for those wishing to rehearse and perform using provided equipment, and the group participants choose the songs they wish to learn. Plus, a cracker afternoon tea is included! For more information contact our TAS Older Adults team on 6278 5800. I love the Ukulele Group. I think the people teaching us – Johnny and Bill – are very, VERY patient. I am newer to the group than some of the others and I like that the teachers work out where I can fit in. Some of the ladies in the group have beautiful voices so it’s really nice to listen to them sing. My family all think I am mad – learning a new skill at 84 but I really enjoy it! I had never played before I started in this group. 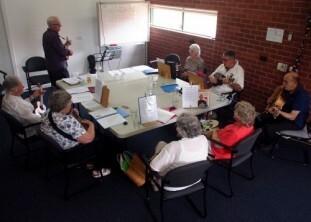 It’s good fun, I particularly like the singing aspect of the group and listening to everyone singing along together. It’s a happy environment and we have a great laugh in each session. I love that if you can’t play you can sing – meaning we are all included. I agree that the teachers are very patient – I have learnt so much in this group. 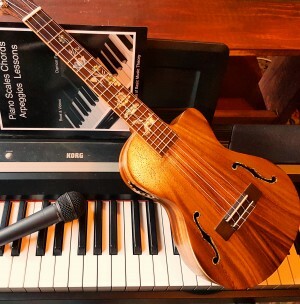 My brother plays the ukulele and is in a more advanced group, and he has been quite impressed with me to learn this skill, even though it was harder than I thought I do feel proud at what I have learnt so far. I can play up to 5 chords, so far! Learning the ukulele has helped me with coordination and keeping my mind and hands active. I enjoy my sessions. There is not one session that we don’t have a good laugh together.